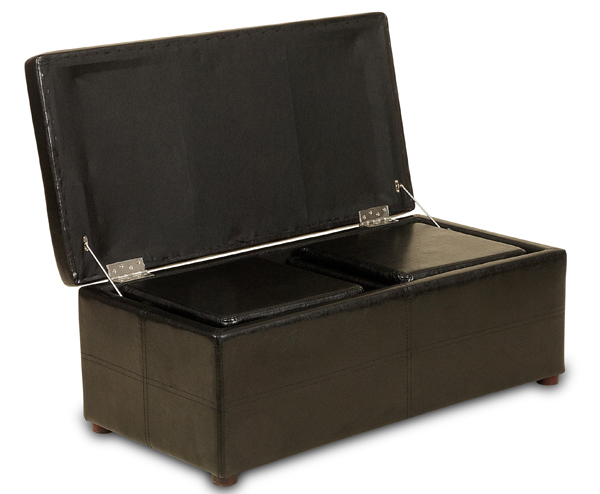 The Ottoman Storage Chest set is great for those requiring elegant and sturdy storage solutions around the house. Pre built units, the storage boxes comprises of a large storage box and 2 smaller boxes all suitable for using as seating. 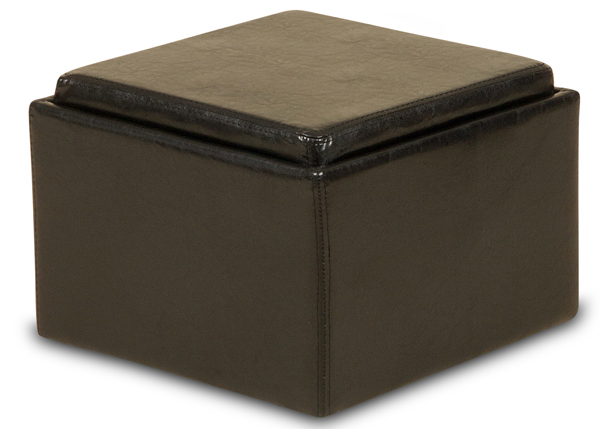 This box features a faux leather finish which suits most types of rooms. 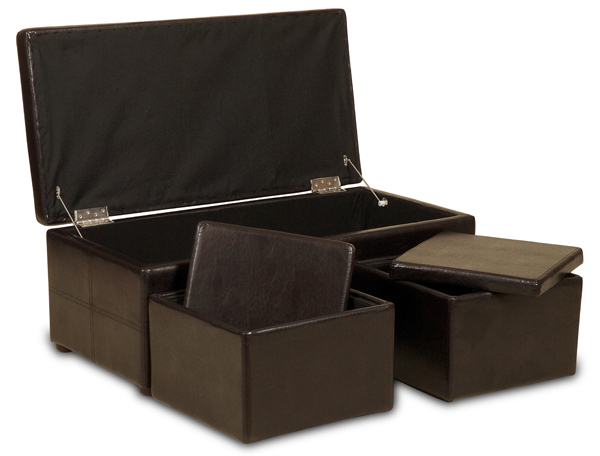 We have this available in black and brown. 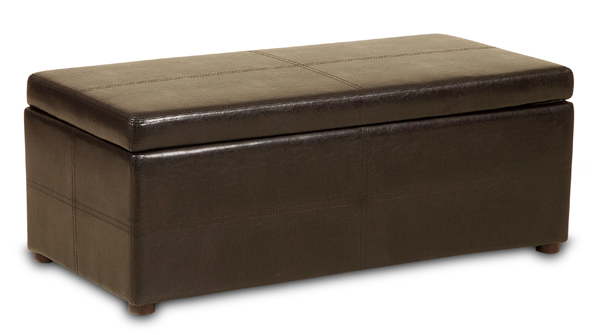 Though this storage box has a simple design, it is strong enough to be used as suitable seating for multiple people. 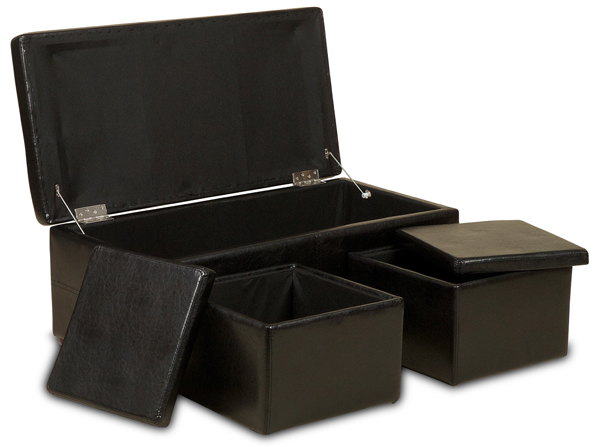 This product comes pre built with the two smaller units packed in the large unit.